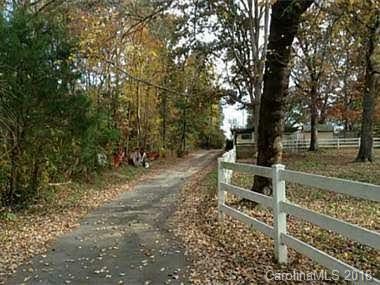 Over 7 acres off Brawley School Rd in popular Lake Norman location. Great investment opportunity with tons of new development happening in the area. Property is currently being used as a horse farm w/ 9 stall barn w/ water and electricity, riding arena, and fenced in pasture. Residential house on property is currently leased for $1225/month and stables lease for $200+/month each. Excellent location with low Iredell taxes, easy access to interstate and just minutes to popular Lake Norman.